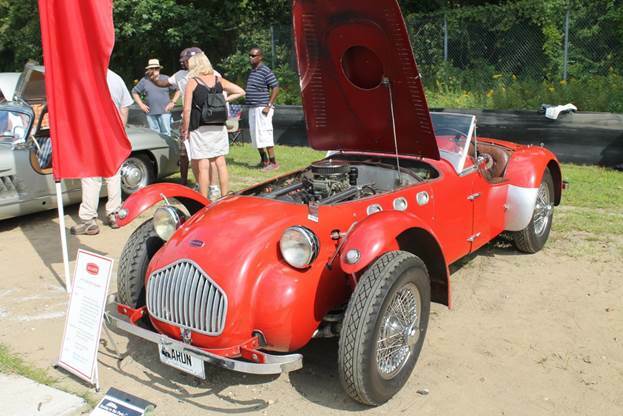 “The engine is the original Flathead V8. 1953 was the last year for the motor, and it's unusual to find an F100 now that still has its Flathead. I realised that I couldn't rebuild the original Stromberg 97 carburettor, so I replaced it with an Edelbrock 500cfm four-barrel on a matching Edelbrock manifold. I also replaced the water pumps, fitted the MSD distributor and plug wires that Uncle David had bought, and a 12-volt alternator that still looks like the original dynamo. I also fitted exhaust headers. The gearbox is the original three-speed manual with three-on-the-tree column shift. It's all original and works perfectly, all I've had to change was the oil. Even setting up the gear linkages was simple, a five-minute job. 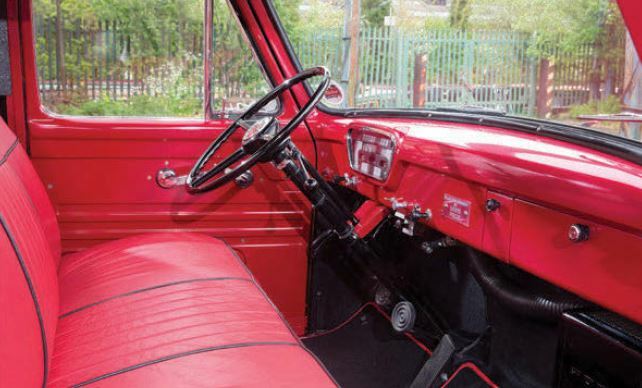 “The steering column's original, as is the manual steering box which didn't need rebuilding. It's got a bit of play in it, but nothing too bad. The first time I took my Mum out in the truck, she asked me what the hell I was doing, steering left and right while the truck was supposed to be going straight. I told her that's just how it is! “My uncle had bought an off-the-shelf disc brake conversion for the front axle, and he and I fitted it a while before he died. The truck came to him with mono-leaf springs on the front that lowered the front end, but Uncle David didn't like them so he replaced them with standard five-leaf springs. I didn't like them, so I put the old mono leafs back on! They lower the front by about three inches. The rear springs are stock, but I redrilled where the perches sit on the chassis and turned them upside down, which lowers the back about two inches. It has new shocks all round, but other than that the chassis is pretty much standard. 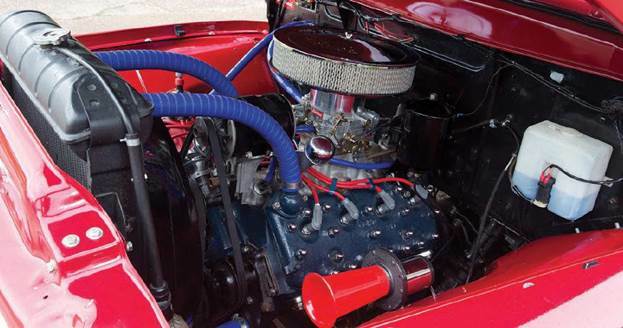 “About this time last year, I had the custom stainless exhaust made and fitted at Wacky Racers (this was covered in the How-To section of the August and September 2013 issues of American Car – ACM). That's the only part of the build I left up to someone else, though I did get a local trim shop to reupholster the seat. I got the idea for the design whilst reading a magazine in Spain, so I brought the magazine home, showed it to the trim shop and said 'I want this'! Some of the parts I made myself, for instance, I made the rear lamp brackets at college as a CNC machining project. I learnt how to do it, and got the parts made for free! Also, I made the plaque on the dashboard in the garage, polished it up, then took it into college to engrave it. I was forever staying behind at college to make bits for the truck... I've since taken it back to Wacky Racers and asked Wacky to fit smaller silencers – it was too quiet for me!